According to the Agency for Healthcare Research and Quality, nearly 20% of patients experience adverse events within 3 weeks of discharge, nearly three-quarters of which could have been prevented or ameliorated. Whether it’s a hospital discharge, a diagnosis of a chronic disease, or an urgent care situation, patient communication, monitoring and support is a critical piece to creating better outcomes. Value-based care which provides incentives for keeping people healthy is becoming increasingly popular. It’s not just the government that is moving in this direction, but now the nation’s leading health insurance companies are moving towards value-based care reimbursement models for both provider networks and drug companies. Why? They save money and produce better outcomes for members, but there’s a lot of work to be done in coordinating care once home. 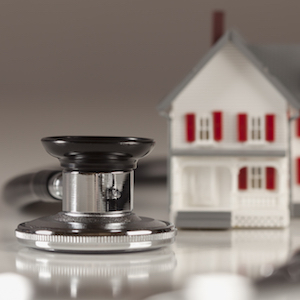 In July of 2015, Centers for Medicare & Medicaid Services (CMS) announced the Home Health Value-Based Purchasing model, which would test whether incentives for better care can improve outcomes in the delivery of home health services. “People want to be taken care of in their homes and communities whenever possible, and CMS aims to make sure that care in the home is supported by a value-based care delivery model that is consistent with the rest of the system. The goal is that no matter where the care is delivered, it is supported by a payment system that rewards providers who deliver the highest quality outcomes,” said Acting CMS Administrator Andy Slavitt in the release. CMS is not alone in its decision to base reimbursements on value-based criteria. Almost every private insurer is turning to value-based programs as well. Last June, UnitedHealthcare—America's largest private insurer—announced that it expects its value-based reimbursements to increase to $50 billion by 2017 as more care providers join the transition to accountable care contracts that reward quality and outcome based treatment. Humana plans to tie 20 percent of executive bonuses to consumer health metrics, such as health risk assessments, pharmacy use and participation in the Humana Vitality program, which rewards members for healthy behaviors. According to Bloomberg, Humana has struck 13 pay-for-performance deals with pharmaceutical companies on everything from treatments for cancer, to multiple sclerosis, diabetes, and other conditions. While technology companies are developing ways to measure and help with patient compliance, vitals, and progress, it’s ultimately up to the patients to take their medication(s) as planned. See our blog on biometric monitoring. Many of these programs promote better care coordination, not just drug performance, which requires better outreach and education to patients at home. For reimbursement, providers and drug companies have to deliver positive outcomes, which requires patients to understand their medications and take them as directed. They also need 24/7 support so they can call when they have questions. Diet and exercise plays a role in managing chronic conditions as well. Good health care doesn’t stop the minute a member walks out of the hospital or a doctor’s office. More patient support at home is required. It plays an important role in successful outcomes. As the health care industry transforms, home health is going to play an integral role in controlling costs and bettering people’s health. Monitoring and support programs have already shown success and if one thing is for sure, it’s that value-based reimbursement models are here to stay. It’s not just a government initiative or mandate any more. The private sector has dug in deep and that’s good for everyone.